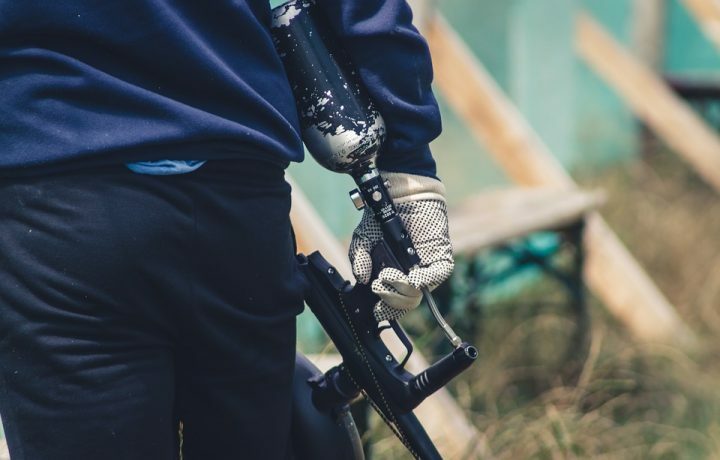 In paintball, any experienced player can tell you that not all guns are created equal. As the sport evolves year after year, new equipment emerges to adapt to those changes. 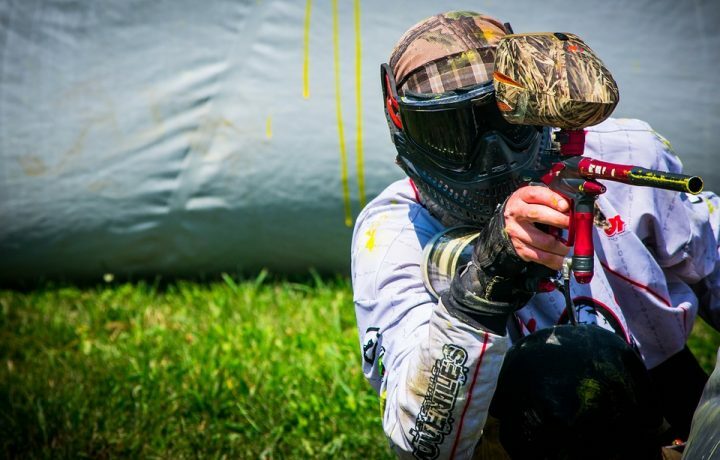 With so many options to choose from, selecting a quality paintball marker can be challenging. 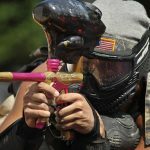 In this article, we have reviewed the Dye Assault Matrix (DAM) paintball marker. 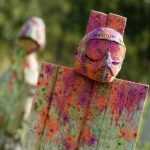 Dye is a well-established brand in the paintball industry, so we’ve looked at how their product stacks up to the competition. We begin with an in-depth overview of the Dye DAM marker, followed by 3 reviews of similar paintball guns. 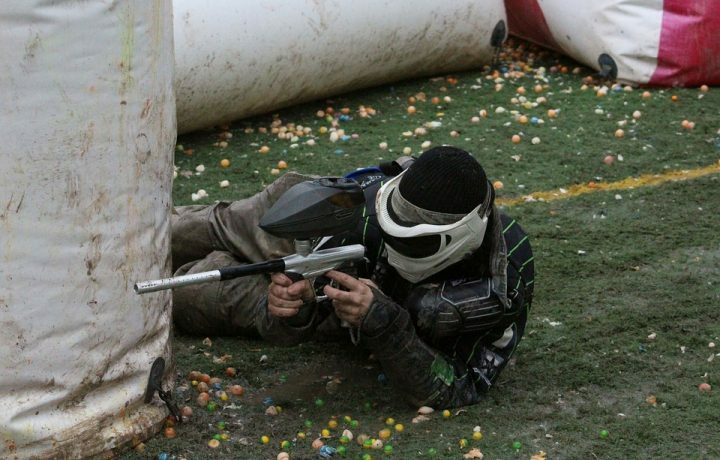 We hope this review will offer guidance in your search for the perfect paintball marker. The Dye Assault Matrix is a high-end paintball marker used in competitive and casual play settings. 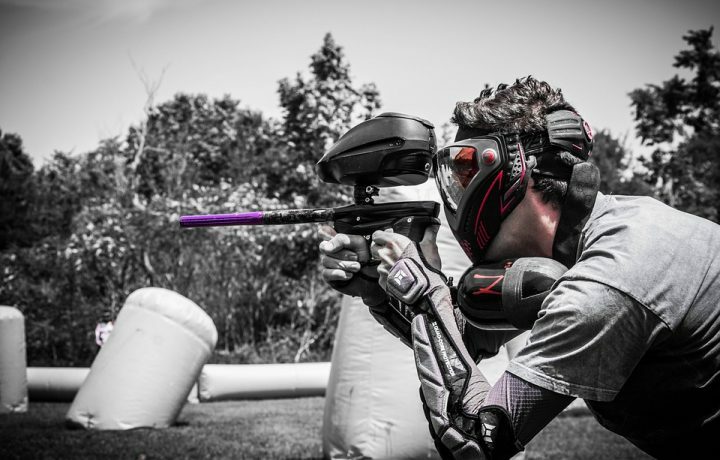 As a leader in the paintball industry, Dye aims to deliver versatile products that enhance player performance. They specifically designed this product to give players the edge they need to thrive during any style of play. The DAM marker has a variety of firing modes and comes equipped for accessories. It's built to be adaptable, durable, easy to use, and accurate. The DAM is easily customizable for individual playing styles and needs. One of its unique features is the OnTheFly (OTF) system that allows users to switch from magazine fed mode to hopper fed mode with the simple push of a button. It also has an ambidextrous magazine release, so reloading is quick and simple for all players. It comes with multiple firing modes that can be easily changed thanks to the in-built Select Fire technology. Depending on the style of gameplay, the user can seamlessly switch between semi-auto, full-auto and three-round burst modes. Both the OTF system and the Select-Fire technology allow users to make changes mid-game with the gun fully assembled. The Dye Assault Matrix also comes with two feet of Picatinny rails. This allows users to further customize their marker with accessories of their choosing. The .68 caliber DAM is about 31 inches long, has a 14 inch barrel, and weighs around five pounds. The competition-style trigger frame makes shooting a breeze and consistently yields precise shots. Also, Dye's Tactical Sticky Grips give the user excellent control of the gun, resulting in even greater accuracy. The magazines are designed projectile-ready, ensuring ultimate precision and little to no recoil. Not only does it shoot like a real weapon, it has the look of one too. The DAM's size and design are the same as those of a real rifle, so the user will feel like they're immersed in combat. Since this is a high-end marker, it doesn't come cheap. It can be purchased for roughly $1,250.00 directly from Dye, or from online retailers like Amazon.com and eBay.com. We've picked a few similar products to see how they compare. The Dye Assault Matrix can be purchased wherever sporting goods are sold for around $1,250.00, or from the manufacturer's website and online e-commerce websites such as Amazon. While this may not be the best choice for beginners, we've found this marker to be easy to use for more experienced players. We were impressed by the OnTheFly and Select Fire mechanisms which allow users to make changes by simply pushing a button. It is also easy to reload mid-game while allowing the user to keep a low-profile. The assembly process is fairly straightforward, but the Dye Assault Matrix comes with many removable parts. It may take longer to assemble and disassemble than more basic paintball markers. We think the design quality of this marker is great. Not only is it aesthetically pleasing, but it's also built to perform exceptionally well. The DAM is very durable thanks to its aluminum build but still feels lightweight and easy to handle through long stretches of gameplay. The 14-inch barrel has yielded consistently precise shots with a good range. It has fulfilled its promise of versatility, accuracy, and durability. 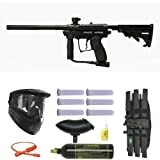 This paintball marker comes with a one year manufacturer's warranty. You can return the product for a full refund, or exchange a defective product for a replacement during this time. 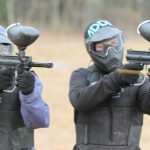 Empire Paintball is another industry leader, known for producing some of the strongest and most reliable paintball guns on the market. The Empire Axe marker is designed to offer users with exceptional accuracy while shooting. It's made of 100% high-grade aluminum, so this marker is lightweight yet durable. One key feature is the fire selection switch which allows users to control their firing rate and shoot with greater precision. It also allows the user to hit targets from great distances. The Axe uses a remarkably small amount of air to push the bolt, so it's efficient and quiet. The minimal sound made while firing gives players a competitive edge, allowing them to take out opponents without signaling their teammates. For a full review of this marker, check out our Empire Axe Paintball Marker Review. Although this is the second most expensive paintball marker we reviewed, it's priced significantly lower than the Dye Assault Matrix. It can be purchased for approximately $350.00 directly through Empire, or online retailers such as Amazon.com. This was the lightest of all the markers we reviewed; so it's easy to carry through long stretches of gameplay. The simple, lightweight design allowed for speedy assembly and disassembly. Maintenance is also a breeze because of its push-button removal. This feature allows users to clean their marker quickly and easily. The Empire Axe has a much simpler design than the Dye Assault Matrix, making this marker suitable for players of all experience levels. We were pleased with the fire-selection switch which ensures exceptional precision while shooting. However, this paintball marker doesn't have the same level of versatility as the DAM. Unfortunately, Empire only offers a 30-day manufacturer's warranty. Although it still gives you time to identify defects, it can't compete with the one-year warranties offered by most manufacturers. 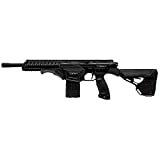 The Tippmann US Army Project Salvo Sniper paintball gun is an officially licensed product of the US Army. Although it doesn't have as many unique features as the Dye Assault Matrix, it's still a reliable marker. It can be used during casual gameplay but was specifically designed for military and gun training simulations. In fact, the design was based on the AR15 rifle used by the US Army. It's easy to shoot in a variety of positions and its stock can be folded down up to 11 inches and increased up to 14 inches. This marker is on the heavier side at about nine pounds when loaded with paintballs. It also has a low firing rate, so it's not an ideal marker for speedball. The Project Salvo Sniper isn't overly customizable, but it comes with four Picatinny rails. It is a rather quiet marker and can shoot a distance of 150 feet, two great advantages during intense competition. Since this product doesn't come with the same amount of special features as some competitors, it's naturally the least expensive of all the markers we reviewed. It can be purchased for approximately $185 through online retailers such as Amazon.com. This marker's limited features make it a good choice for novice players. However, less firing options make accuracy somewhat challenging compared to the other products we've reviewed. Also, we've found it to be difficult to handle over long stretches of gameplay because of its weight. Assembly and disassembly can be a challenge because of the pressure on this marker's internal mechanisms. Parts can end up flying out of the gun if something is moved slightly the wrong way, so users should exercise caution. We were impressed with the aesthetic design of this marker and its similarity to a genuine assault rifle. It performs well in the context of military simulations and adds to the user's immersive combat experience. However, we were disappointed with its standard gravity hopper's performance, which sometimes causes the marker to shake while firing. Also, lower-end paintballs can ruin the firing mechanism, so we recommend using only high-end brands. For some of the best paintball hoppers, check out our quick selection here. Like the Dye Assault Matrix, this marker comes with a one year manufacturer's warranty. You can return the product for a full refund, or exchange a defective product for a replacement during this time. 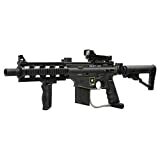 The Spyder MR100 Pro paintball marker is a great choice for beginners and experienced players alike. It's made of high-grade aluminum, making it durable and lightweight at about four and a half pounds. This marker is known for its exceptional accuracy and smooth shots. It can reach targets up to 300 feet away, a great feature for sniper-style players. It uses an eko-valve system to generate a strong firing rate, allowing users to shoot up to 1500 shots on a single CO2 tank. It's easy to shoot with a two trigger system and has a vertical fore-grip for added stability and balance. This marker is far less expensive than the Dye Assault Matrix with an approximate price of $170.00. Of all the markers we've reviewed, we thought this product offered the most bang for the buck. It can be purchased through online retailers such as Amazon.com. We really enjoyed how easy this marker is to use. A great product for beginners, the shots are accurate and smooth and produce minimal recoil. The vertical fore-grip and two trigger system also contribute to the ease of shooting, even on distant targets. The Spyder MR100 has a simple design with few moving parts, making assembly, disassembly, and maintenance quick and easy.. Overall, we think the design of this marker is great. The gun is highly durable yet lightweight. The eko-valve system is a great feature, contributing to excellent firing strength and efficiency. However, it doesn't come with the same number of unique features as the Dye Assault Matrix. This marker comes with a one year manufacturer's warranty. You can return the product for a full refund, or exchange a defective product for a replacement during this time. Ultimately, we have given the Dye Assault Matrix paintball marker an overall score of 4 out of 5 stars. The DAM is a top-of-the-line marker with outstanding accuracy, resilience, and versatility. It's suitable for any style of play and is easily customizable according to the preferences of the user. Unfortunately, this is an expensive product, so it may not be a wise choice for beginners. However, if you're an experienced paintball player who loves the sport, we highly recommend this marker.